A filling dip with creamy beans, sweet crisp vegetables, and delectable chicken all enveloped in velvety cheeses. James and I aren't typically in the business of entertaining guests. Between my job and his school work, we don't get much time to ourselves, much less for other people. Not to mention, our apartment is literally slanted and a disaster area. All we need is FEMA to walk through here before we'd qualify for federal assistance to overcome our perpetual state of emergency. Naturally, the last thing on my mind would be a fun snack great for both parties or more intimate settings with a few friends over. Yet, I couldn't help but try this recipe for a great nacho dip. I'm a fan of just about any cheese, and I'm convinced a great hunk of cheese covers a multitude of sins. But I'm always left wanting a little more from your average nacho dip. Thus, I went to work combining the hoard of food collecting in my fridge to create a more hearty dip. 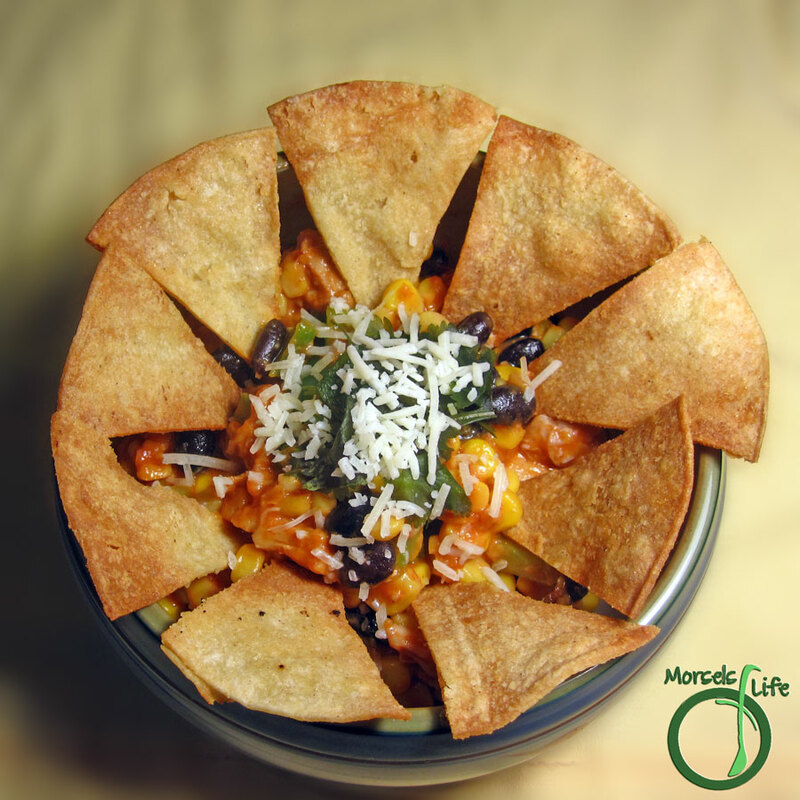 Combined with savory meats and a medley of vegetables and beans, this dip can eat like a meal. In fact, James and I did just that - a hefty helping of chips and dip was dinner! Feel free to make adjustments based on your tastes, but I'm sure these nachos will please any palate. What are some of your favorite nacho toppings? 2 cups cheese, shredded I used a combination of a Mexican blend, Cheddar, and Jack. Cook chicken in small amount of oil with taco seasoning. Stir in remaining materials except cilantro. Continue to cook until cheese melted. Remove from heat and stir in (or garnish) with cilantro. Top with additional cheese if desired. Heck yes! I love this! THank you so much for linking it to Must Try Monday. Thanks for hosting! Hope you enjoy. :) It might go well with your avocado salad too! I'm featuring this tomorrow on my Must Try Monday Features. Yay!